If you are reading this in the morning, great! you may start having your breakfast. If you're reading this at the end of the day, great! 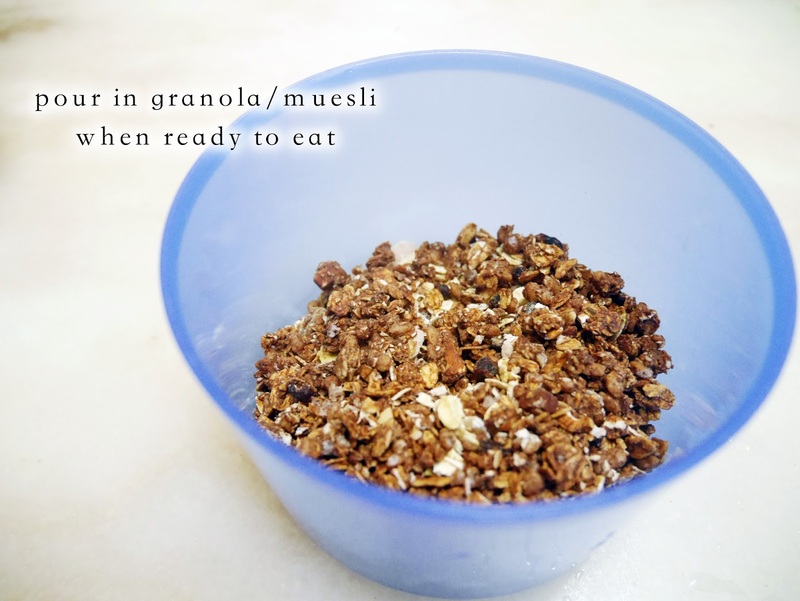 you can now prepare your breakfast tomorrow! As many of you know, I'm always on-to-go. No matter what where when, I'm always rushing time. But you definitely don't want to bump into a HANGRY MINNIE, especially in the morning. 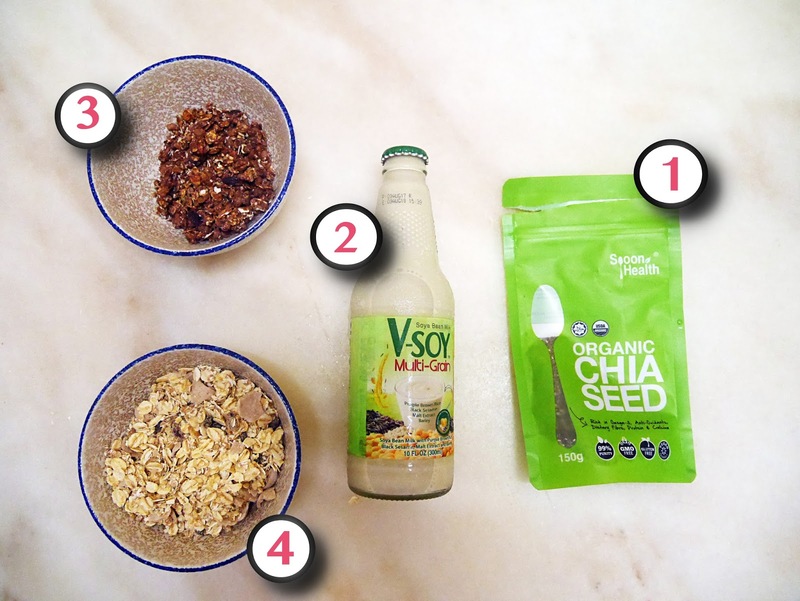 So here's my recipe for my quick and healthy breakfast! 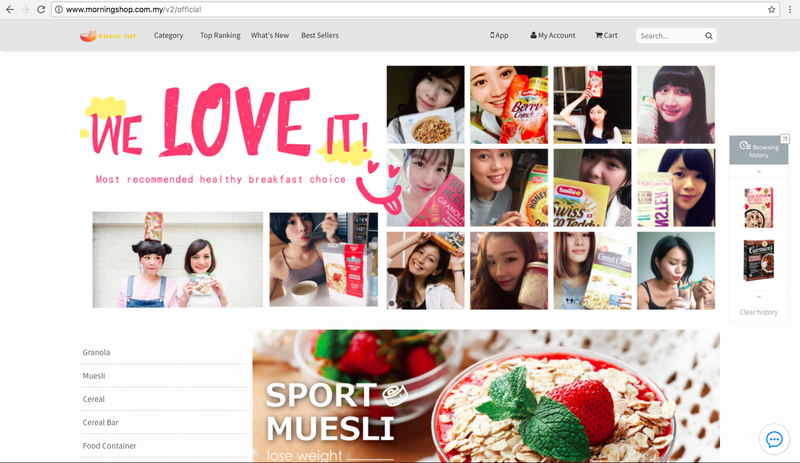 What more when I can shop those healthy products online. YAS. 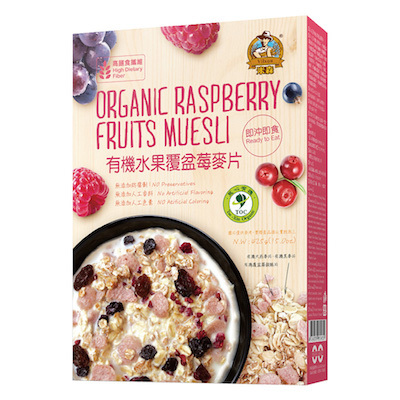 MorningShop Malaysia is a website that provides delivery of a variety of Oatmeals, Granola and Cereals. They delivered those two products that I've chose so punctually that I'm amazed! "I personally prefer crunchy texture so I love granola! So this pick was the perfect one for me because it is not too sweet as they use dark chocolate. 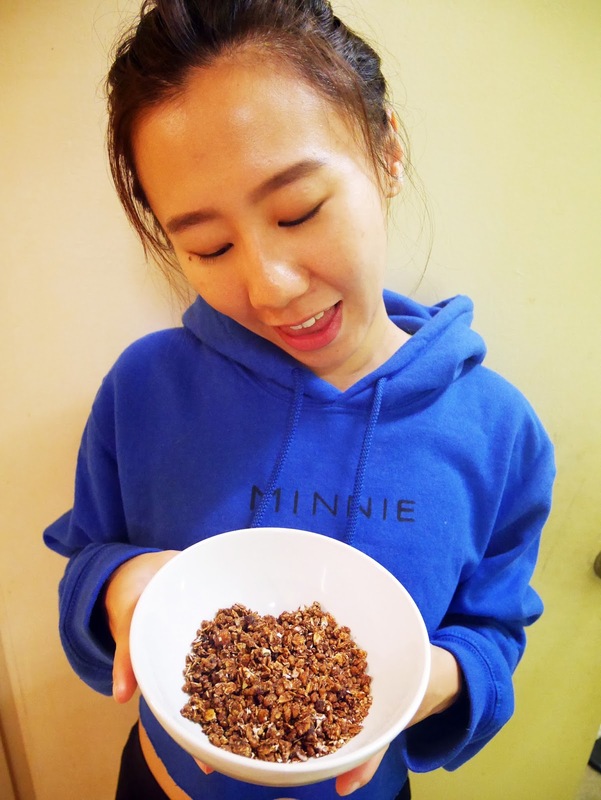 The nuts are just the perfect combo to fuel me up in the morning too." 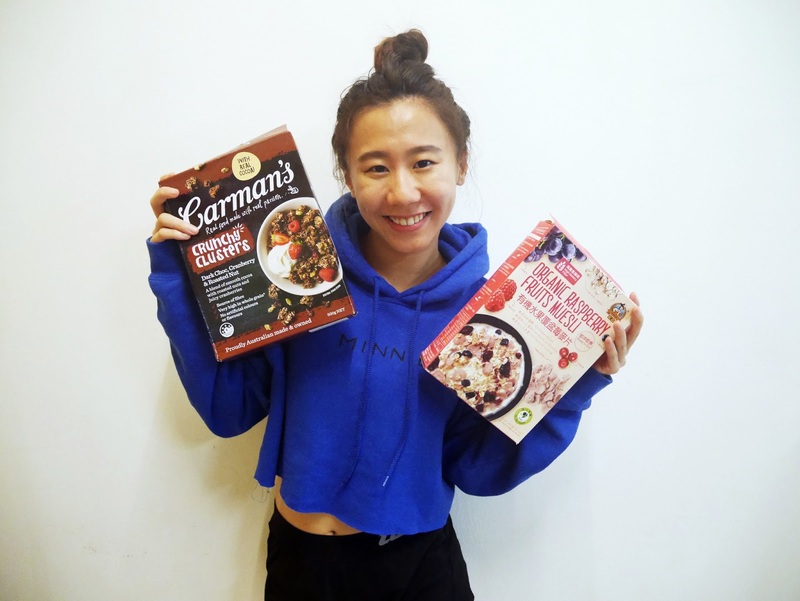 "I've had bad experience with muesli so I don't normally go for them but I don't for whatever reason, I decided to follow my instinct and order this instead. Surprisingly, it was super yummy! I know I'll be mixing up the granola with this so I chose the fruity one. 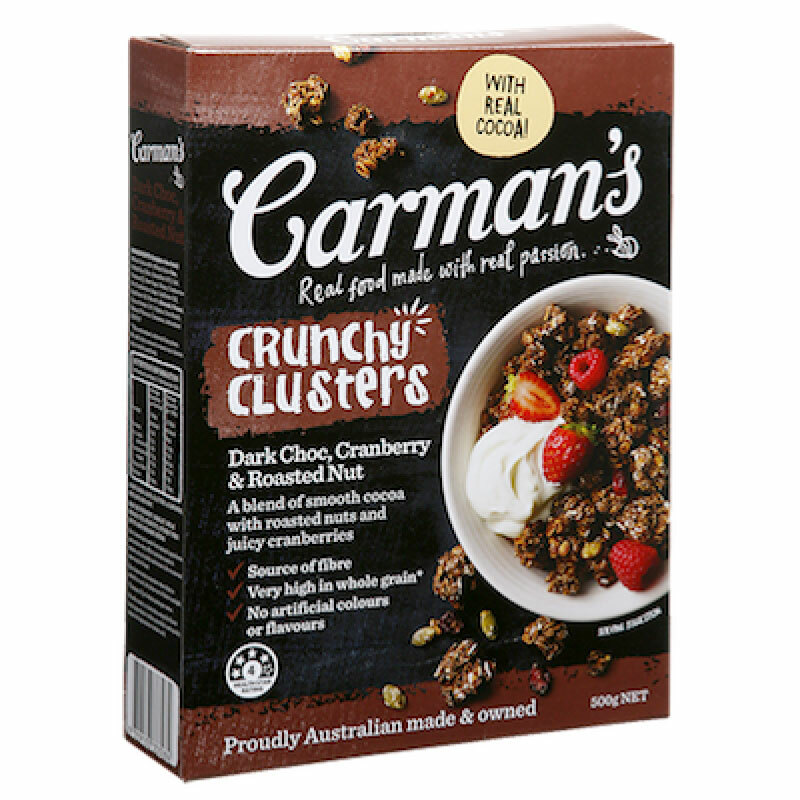 This one has a softer texture with some crispy bits which makes it so yummy!" 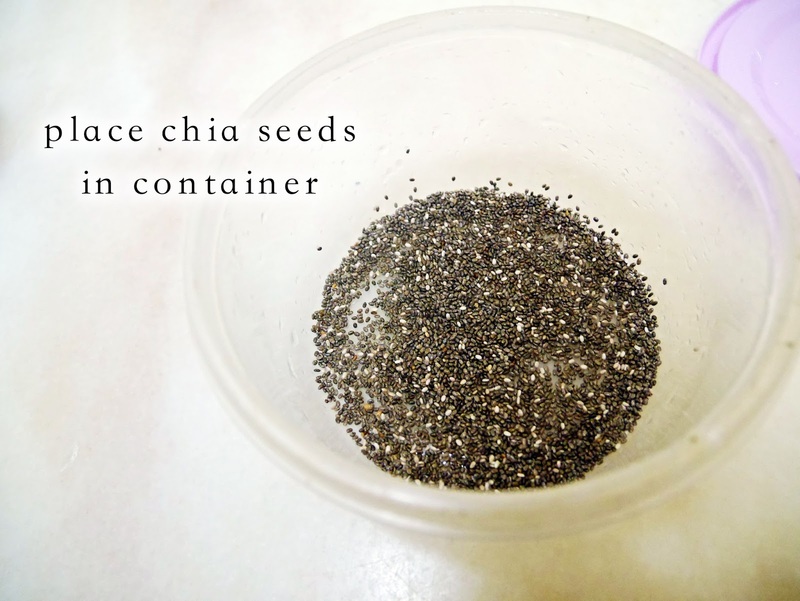 Now, the long awaited recipe! 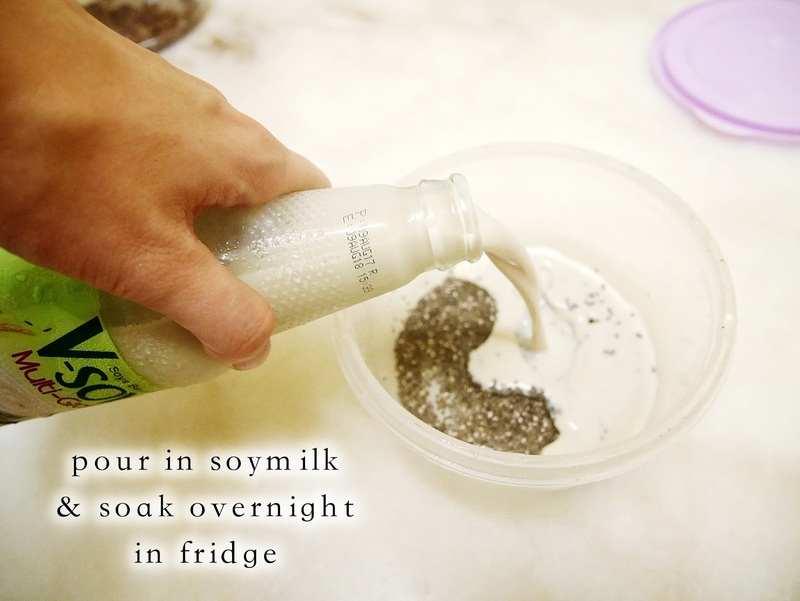 I normally separate the soy milk+chia seeds with the granola/muesli just because I like it crunchy. If you like a softer texture, you may leave it for a longer period of time! It's so easy! This breakfast combo literally can last me for 4 hours until my snack time where I just have fruits. Go ahead an visit their website! It's so easy to use and every RM150 spent, you'll get RM20 off!